Winter is wrapping up, and that makes me think of the ski trip me and Tres took with friends last year. We spent several days in Steamboat, Colorado in a cozy cabin, and I cooked almost every day. When I'm on vacation with a group, I love waking up before everyone and making breakfast. Our snow-covered cabin right on the slopes was the perfect place to tip-toe out of bed, light the fireplace up, pour myself a cozy cup of coffee, and cook it up! 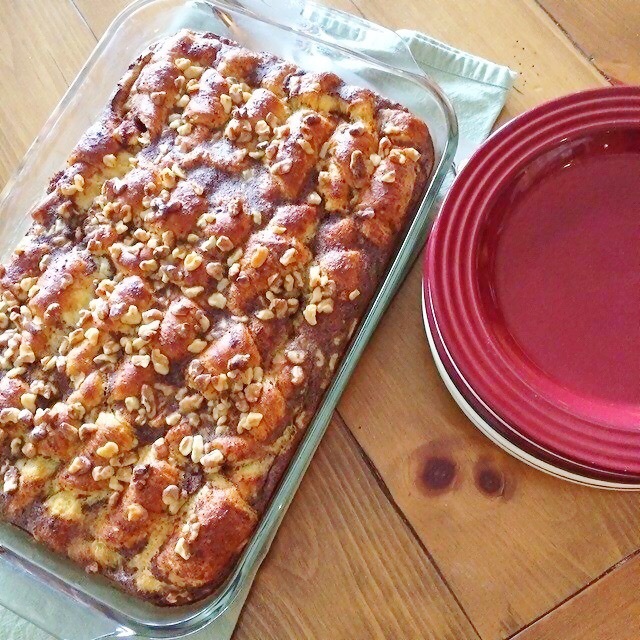 One morning, I made my mascarpone french toast bake, and it was everyone's favorite! 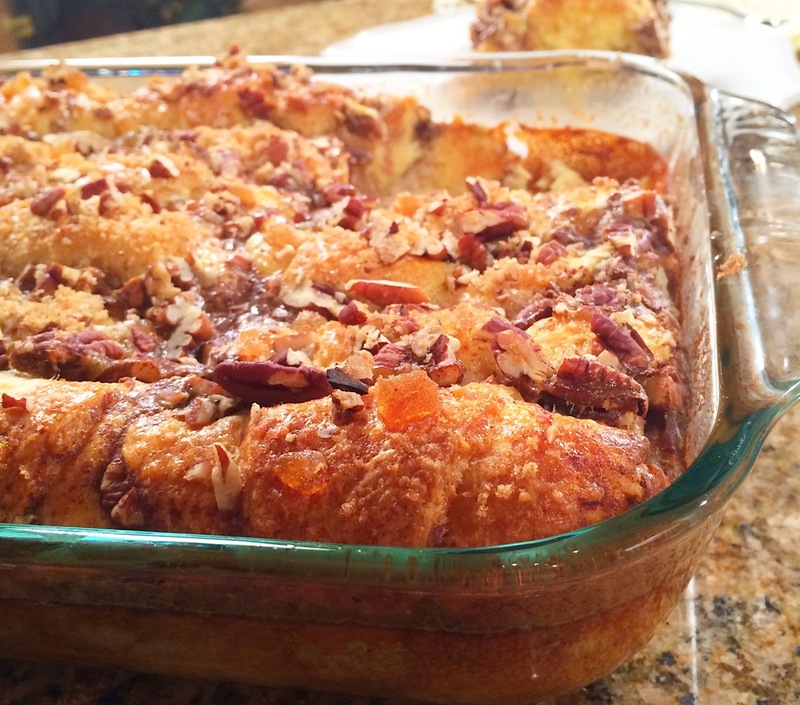 This recipe is really easy and can even be made the night before, refrigerated, and popped in the oven the next morning! Because of all the cooking I did, skiing has become one of my favorite trips. The skiing, I'm not real sure about, but I love the cooking, lodge lunches with good beer, the wine drinking, the hot tub after a long day on the slopes, and the cozy cabin. Tres' response to my "love of ski trips," is, "so you love ski trips but you love everything about them but skiing?" Haha... I suppose that's the best way to sum it up! Beat the eggs, milk, cream, sugar, cinnamon, nutmeg, vanilla, and salt together until eggs are beaten and mixture is smooth. Set aside. In another bowl, whisk the mascarpone, butter, honey, sugar, and cinnamon together. Open the crescent roll cans and separate each dough piece from each other. Fill each piece of crescent dough with some of the mascarpone mixture and roll the dough up. Line the rolls in a buttered 9x13 baking dish side by side. Pour egg mixture into the baking pan, over the crescent rolls. ***At this point you can let it sit for several hours or overnight if you wish. When you're ready to bake, set oven to 350 degrees. 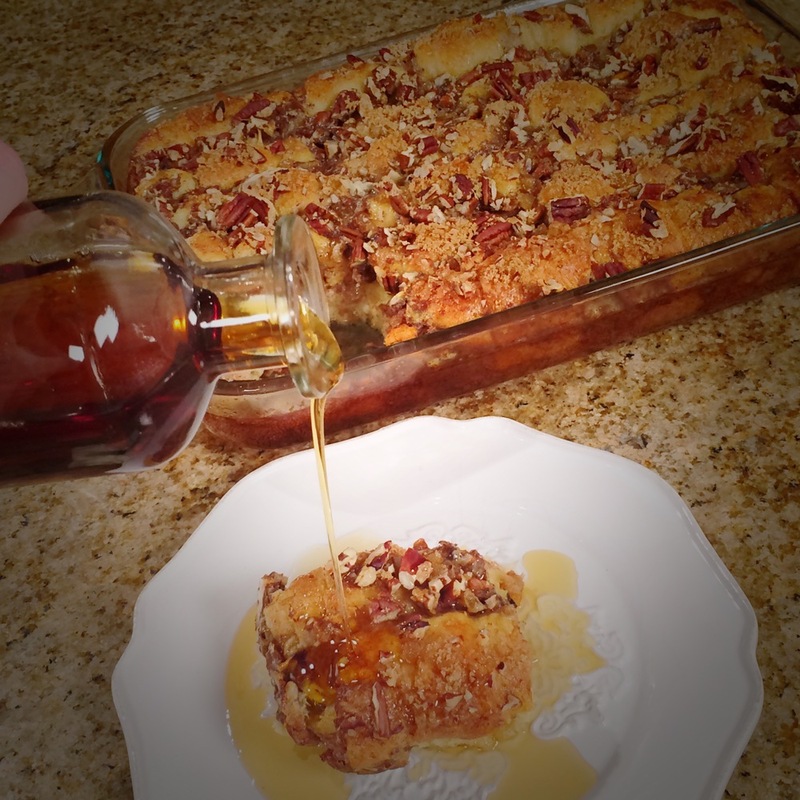 In a small bowl, mix together the pecans, brown sugar, and candied ginger. Sprinkle over the top of the crescent roll mixture. Bake for about 35 minutes or until puffed and golden.